We sharpen knives of all types (even serrated! ), household and utility scissors, beauty salon and barbers' shears, and most garden tools. Our precision sharpening system ensures the correct angle for your knife, thus extending the life of the blade--it will cut just like new. We can also repair some defects such as chipped blades or bent tips (additional fees may apply). For everyone's safety, all items must be packaged/wrapped securely with rubber bands or packing tape securing the item in a towel, pillowcase, padded envelope, or box. 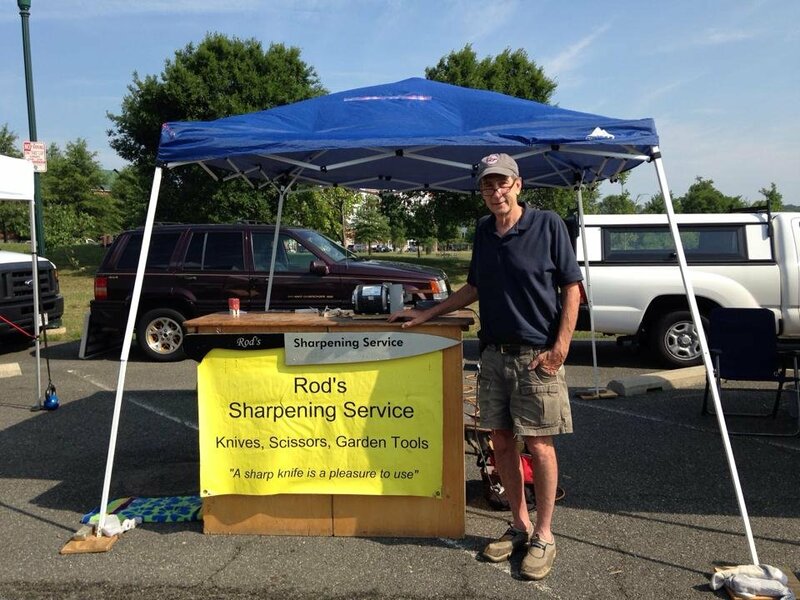 Attach your name, address, phone number, and cash or check payable to Rod's Sharpening Service. Items should be dropped off at the shop no later than 6pm on the Tuesday preceding the sharpening day. Rod has been a woodworker and metalsmith most of his life. After becoming intrigued with the idea of sharpening everyday tools, he studied sharpening with a master sharpener and opened his business soon after.